Busan, the second largest city in South Korea and the tourist capital of the country, is also known for their medical tourism. So much so that there is a Medical Street, where it is popular to schedule procedures. Approximately 60% of young female Koreans have had cosmetic surgery, which why you’ll see a lot of women wearing face masks. Busan is also the only place with the world with a United Nations cemetery. Although I didn’t have as much time as I wanted in this interesting city, you will find my top recommendations below, listed in alphabetical order. 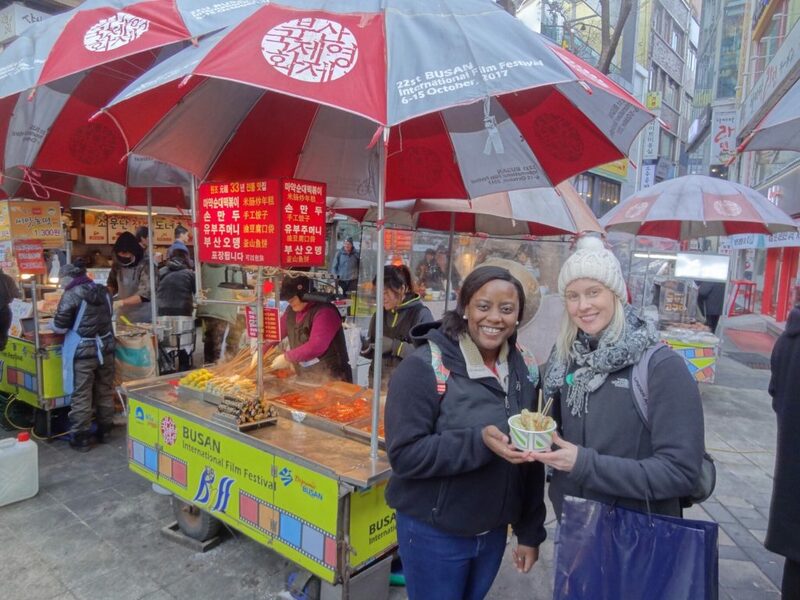 If you’re looking for a prime place to snack on delicious street food while doing your shopping, this is the perfect place. BIFF Square has many different options when it comes to satisfying both your hunger and retail needs. Feel free to come to the square ravenous, as there are multiple areas where you can sit and get complete meals. The dishes are cooked right in front of you, and you can opt to sit down in a mini chair at a mini table. If you’ve already eaten, small snacks and sweets are easy to find. We munched on some candy-coated strawberries, the famous Busan pancakes, scrumptious waffles, and delectable peanuts wrapped in fried dough. I highly recommend them all! For shopping purposes, you will find all the traditional trinkets and souvenirs for tourists, such as magnets, keychains, and postcards. You’ll also find you can do more substantial shopping, including handbags, clothes, sunglasses, and even healthcare needs. The BIFF Square can take care of all your needs! Dongbaekseom, containing many picturesque areas, used to be an island of Busan, but is now connected to the mainland. This area only accommodates foot passengers, and there is a walking trail that takes approximately 45 minutes to complete. There are two options for walking – 1) the more picturesque route, but contains many stairs and may not be the best for those with knee pain; 2) the more direct route, but may miss a lot of the scenic views. I personally did not think the first route was too much, especially if you are not in a hurry. Others in our group felt the same way, and they were glad they decided to forgo the more direct route. 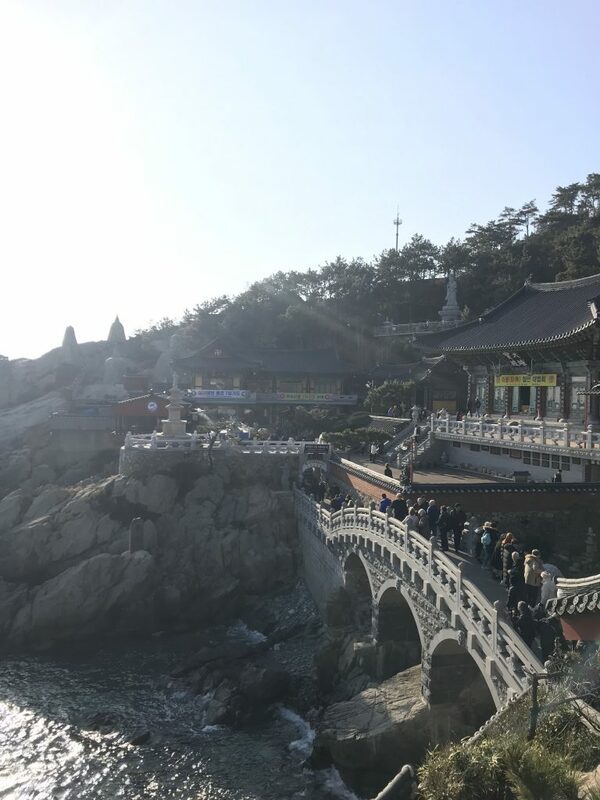 Originally constructed in 1376, the Haedong Yonggungsa Temple stands proudly against the seaside – one the few in all of South Korea. It was destroyed during the Japanese invasion of Korea, but was rebuilt in the 1930s. 12 zodiac sign statues line the entrance of the temple, and protect it from evil spirits. Inside the temple, you will find picturesque views each and every way you turn. You’ll also find two golden pigs, which represent prosperity and luck. Don’t forget to rub the pigs when you pass by! 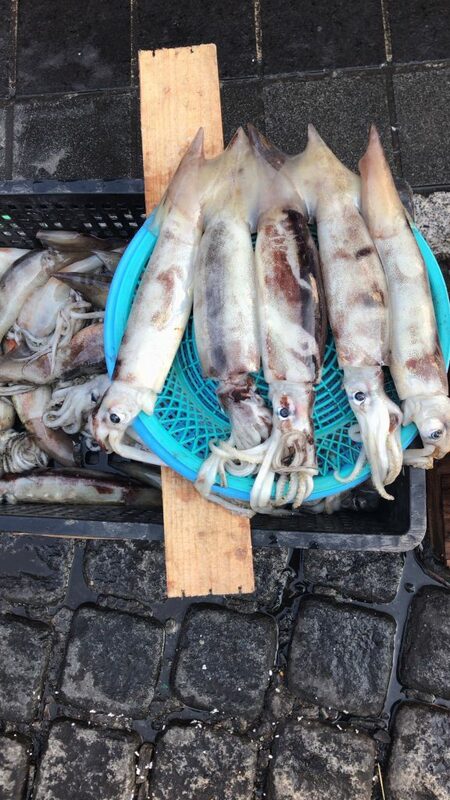 Established by women during the Korean War, the Jagalchi Fish Market continues to thrive to this day. During the war, women needed a way to make money while the men were away at war, and thus the fish market was born. With so many different options to choose from, the streets are brimming with tanks and tubs filled with various seafood. We saw octopi, fish [some we had seen before, and some we had never seen], seaweed, and so many different things. People were coming to buy them fresh – and even though you may not want to buy any fish, it’s an interesting market to explore, and there are even restaurants you can go and eat at. 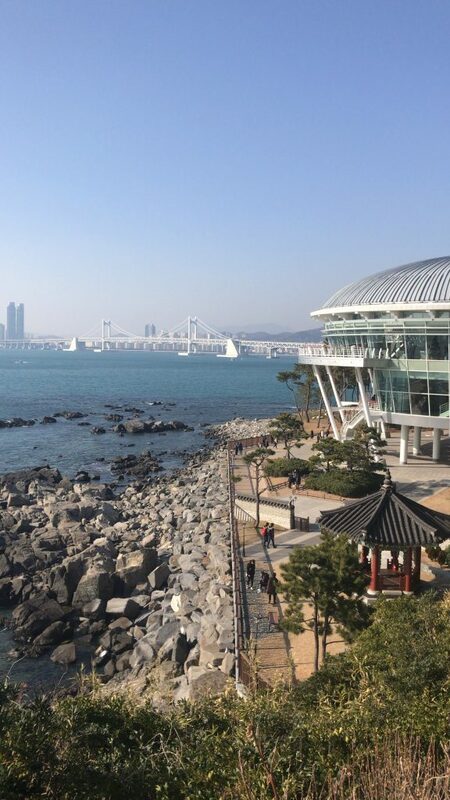 In 2005, Busan hosted the APEC, Asian-Pacific Economic Cooperation, Leaders’ Meeting. The building, overlooking the gorgeous blue waters and amazing cityscape, has now been transformed into a museum to commemorate the meeting. Inside you’ll be able to learn about what took place at the meeting, what food was served, and you’ll also get to see the huge table where all the leaders sat. The table has name placements as to which country sat where – that was pretty cool to see. Busan was a fun and exciting city to explore. 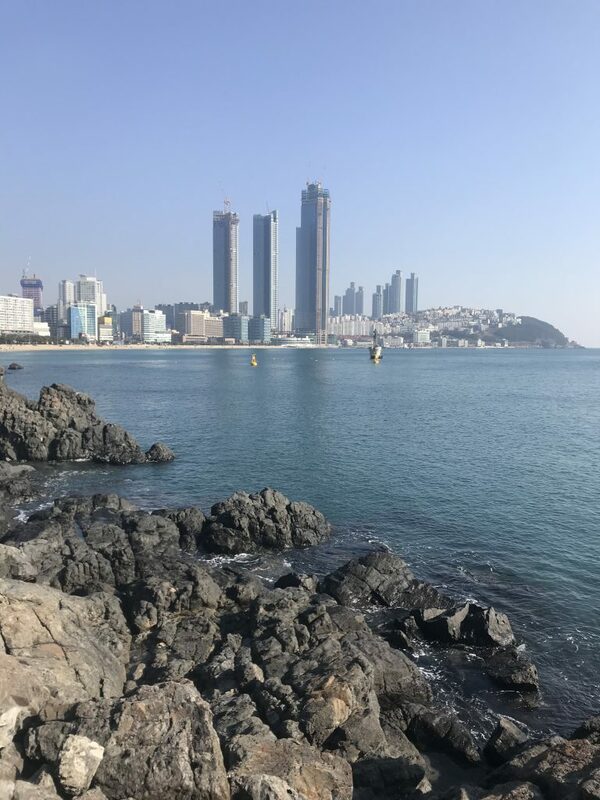 To be honest, Busan had never really been on my list of places to go just because it hadn’t crossed my radar before, but I’m so glad I had the opportunity to visit. 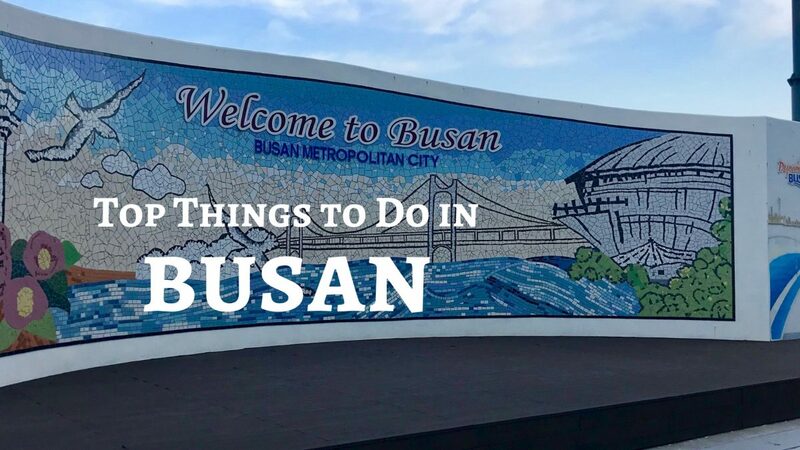 Have you ever been to Busan? What about South Korea? What were your first impressions? If you haven’t been, is it on your list of places to visit? I’d love to hear from you!